Surely by now, you've discovered that kids can write re-counts, even if they can't write anything else! So why bother with those daily journals? I went to the mall with my mom. Then I bought a new video game. I played my new video game with my friend Jack. Jack liked it. I liked it too. I hope when I go to the mall again, I can get another new video games. I like playing video games. You balance your writing program. 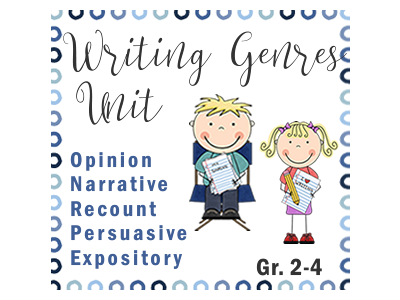 Provide opportunities for opinion writing, persuasive writing, procedural writing, and expository writing to name a few. 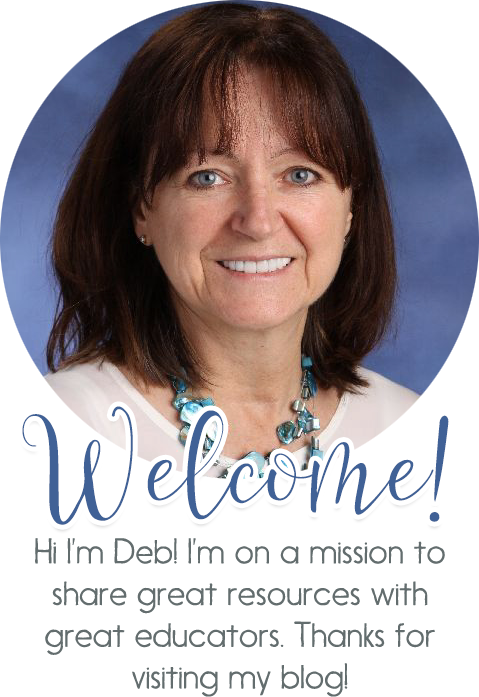 (You'll find everything you need at each of these links to complete your writing program for you 2nd to 4th grade students. 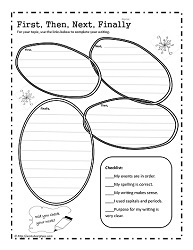 Another strategy to 'get them writing' is to ask higher level thinking questions and give them a free write. How about, 'If I could make the world a better place' or ' Why uniforms should or shouldn't be allowed to be worn at school' or 'Why every student should have a laptop'. Have anymore ideas? Post them and share with our fellow educators.